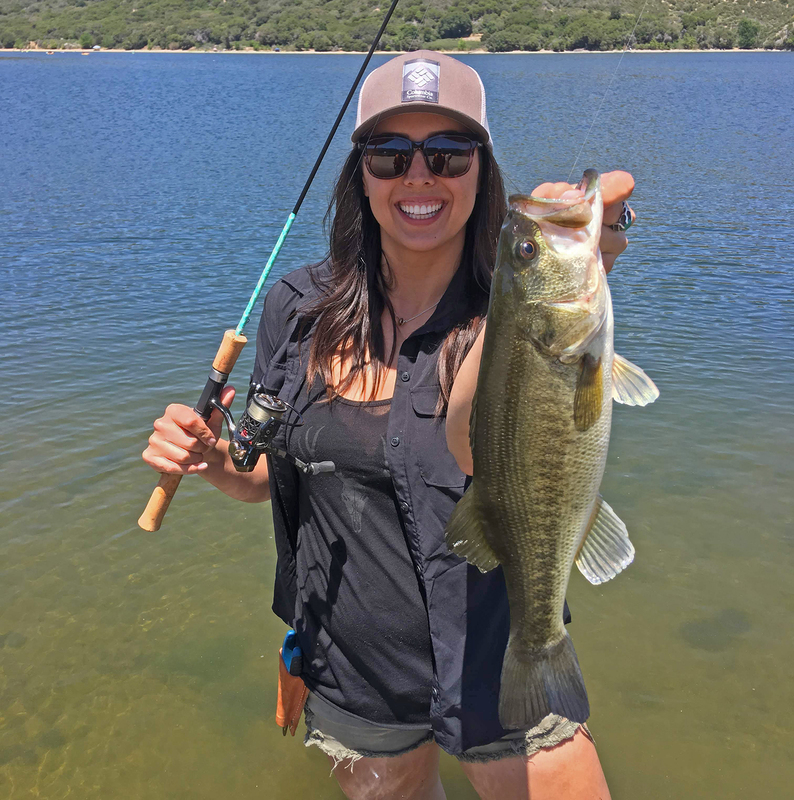 Our next BD Fishing Chick is Rachel Von Fleck and she shares her fishing stories with us in our next BD Feature. Rachel Von Fleck:I live in Temecula, California but travel often between San Diego, Temecula, and the High Desert. 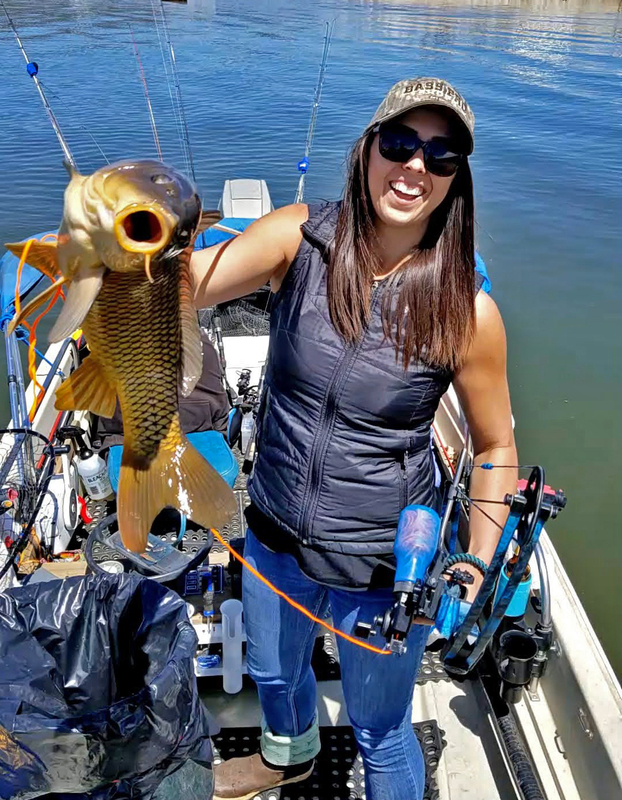 Rachel Von Fleck:Fishing is my number one passion, with bird hunting being my second. Living in California allows me to access so many different types of terrain. 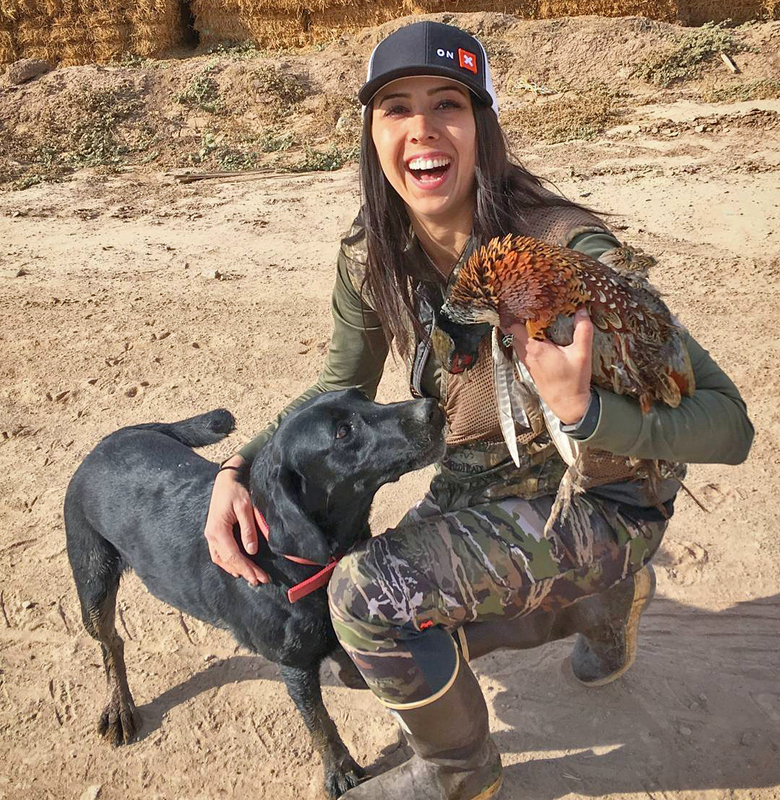 I have an obsession with chukar and pheasant hunting; they are both so physically taxing and I love the challenges that come with each of them. I also really enjoy waterfowl season. 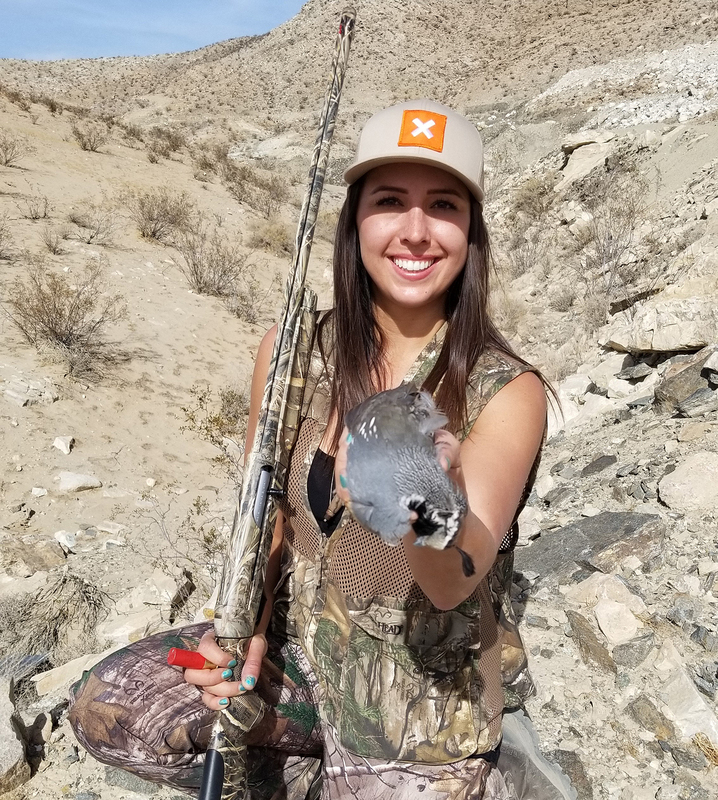 In order to stay prepared for hunting season and in general, I try to practice as often as possible with my 12g shotgun, as well as with rifles and handguns. Rachel Von Fleck:I’ve always been interested in fishing, but didn’t know many people who knew how or enjoyed it. I fished with family on camping trips when I was young. I threw Powerbait for trout in my early twenties. Then in my mid-twenties I decided I was going to go on an overnight offshore fishing trip for my birthday, having never gone before. That sparked an interest and after meeting my partner-in-crime, Scott, it’s become my favorite thing to do and I’ve learned so much. 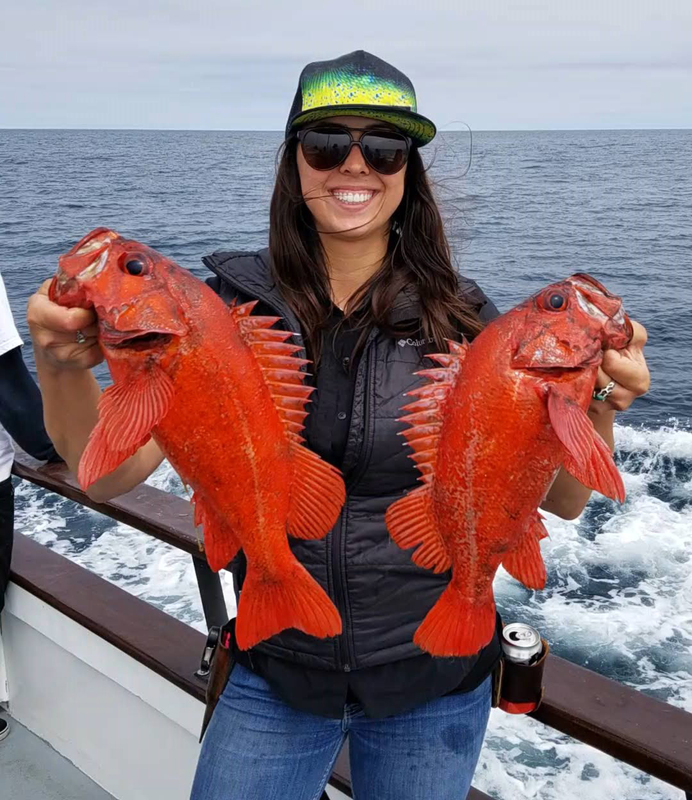 Rachel Von Fleck:Majority of my year is spent either ocean fishing or trout fishing, depending on the season. 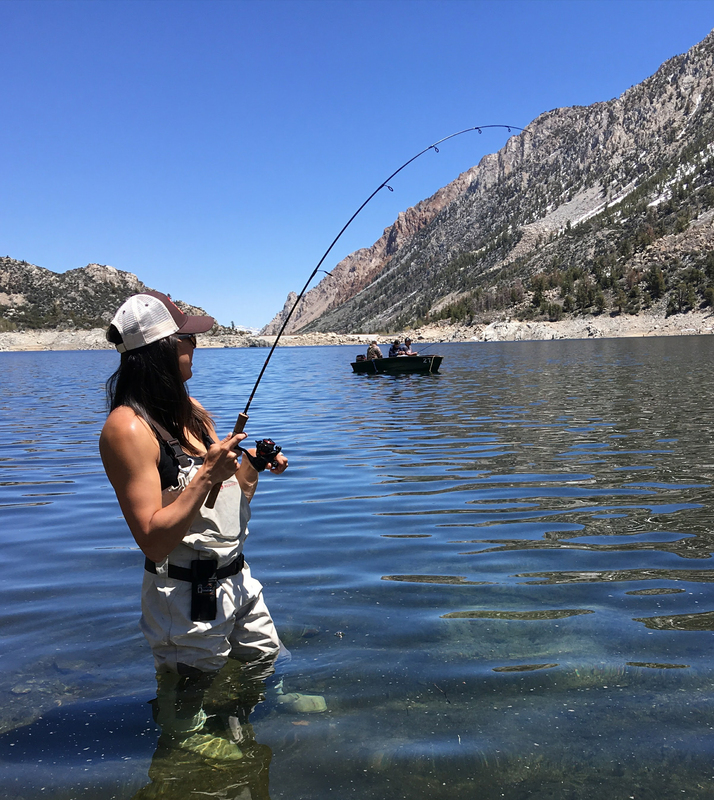 I also bass fish and go after other freshwater fish sometimes, but I’d say majority of my time and money is spent getting out on the ocean offshore or traveling up to the Eastern Sierra Mountains chasing trout. I also bowfish for carp in Big Bear, and enjoy participating in their yearly tournament too. I try to get on a few lobster hooping trips every winter as well. 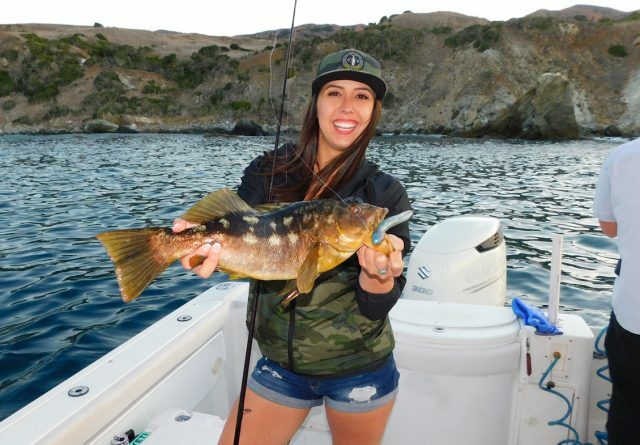 Rachel Von Fleck:My favorite type of fishing is a tie between offshore fishing and trout fishing. Being out on the ocean is so incredibly calming and pulls you away from any of your usual, worldly problems. Having the possibility of pulling up so many different kinds of fish is incredible too and keeps the anticipation high. 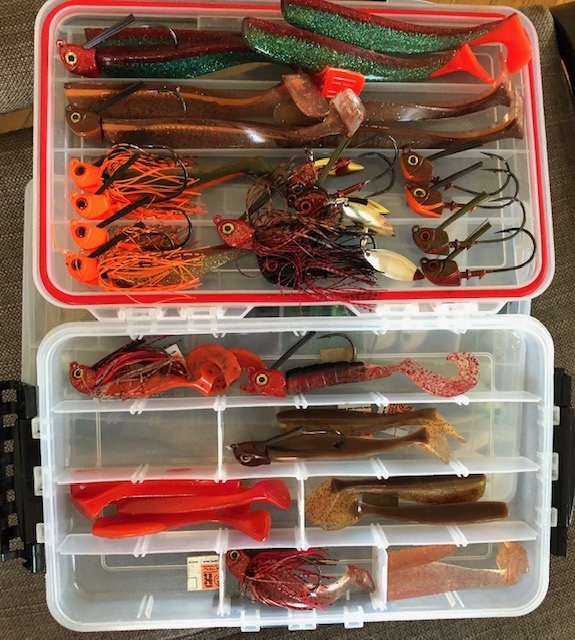 On the other hand though, heading up to the Eastern Sierra Mountains and throwing Rapalas for big browns or jigging for cuttys and rainbows is so much fun and a bit more relaxing. 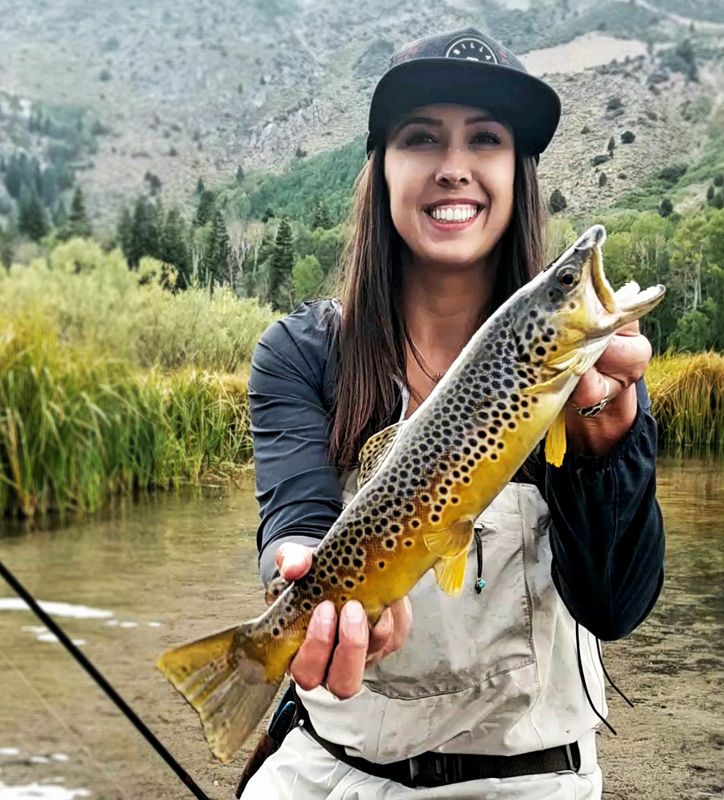 You pull out some of the most beautiful fish with epic color patterns and variations; each fish is unique and being able to release the native fish to come back and try again the next day is extraordinary. 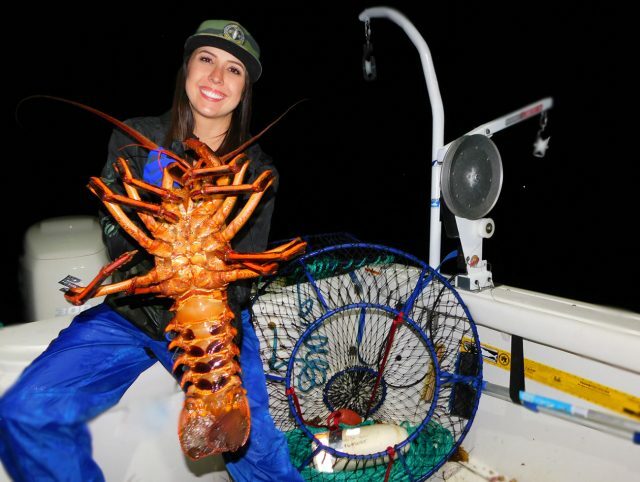 Rachel Von Fleck:I would love to land a fish offshore larger than me. 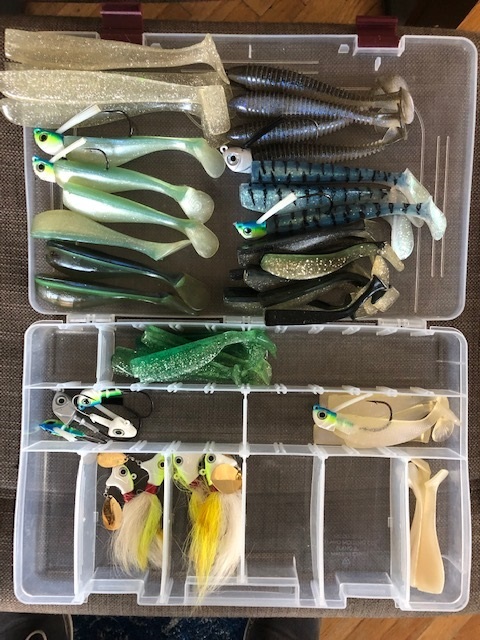 As for next year, I am going to actually plan some trips and hope to travel to Mexico for a few days of offshore fishing. 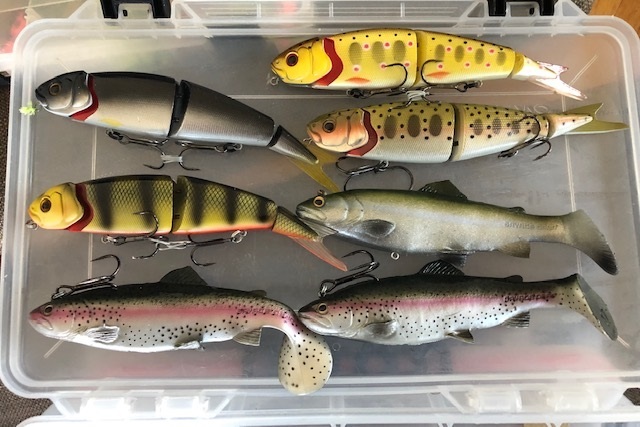 As for freshwater, I still have my seemingly intangible goal of landing a trout over 10-pounds; I’ve hooked a trout much larger than that, but we lost it at the boat due to not having a large enough net. Now we always make sure we have the big-dog net ready. 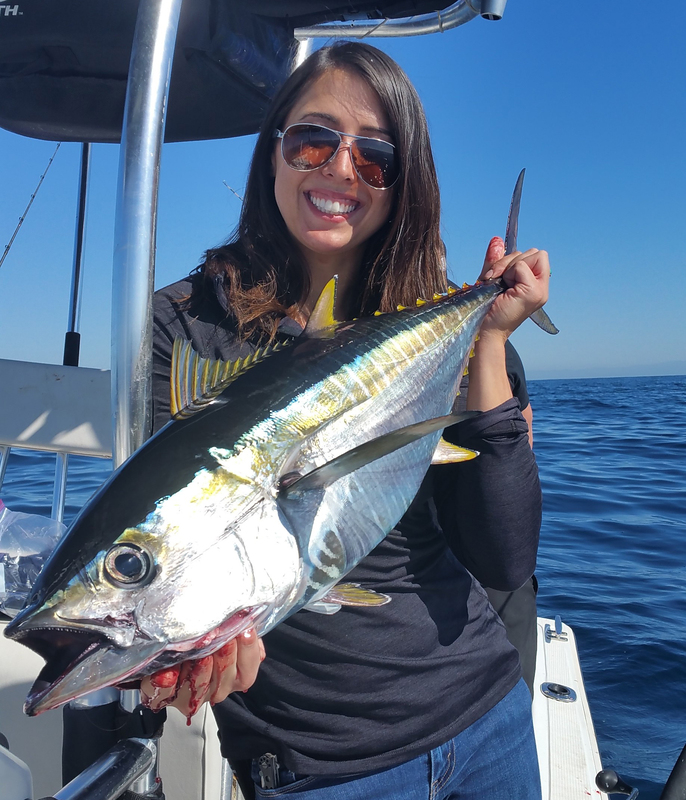 Rachel Von Fleck:I love that with fishing, you are always learning and adapting. What worked one day may not work the next. You judge the water temp, clarity, wind, bug hatch, and any other conditions and modify the way you fish to try to appeal to your target. As for the actual physical aspect, feeling that first bite and hearing the drag scream gets me giddy just thinking about it. Being able to tell if it’s a big fish or not within the first few seconds, and then spending the next 30 seconds, 5 minutes, or however long imagining what the fish looks like on the other end. The ever-lasting anticipation of fishing keeps me coming back every time. 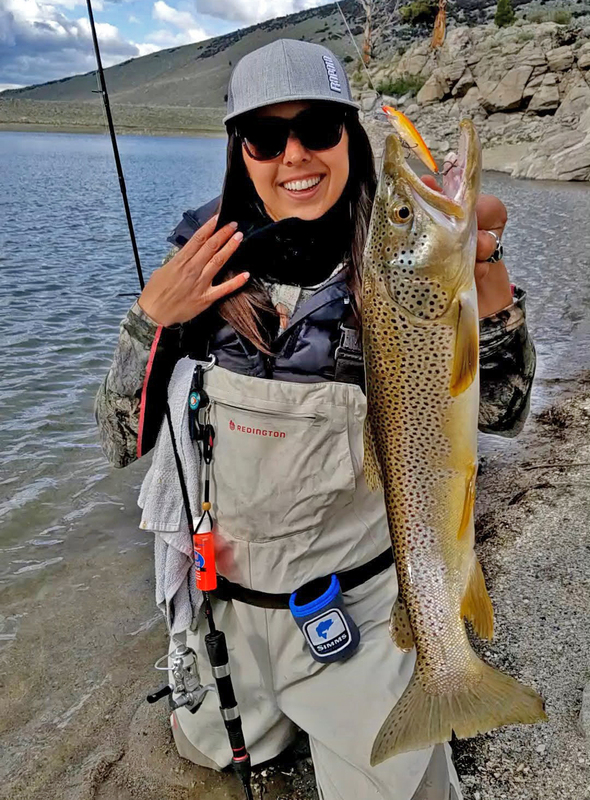 Rachel Von Fleck:I think one of my top favorite moments in fishing have to be when I caught and released my PB brown trout in the Eastern Sierra Mountains. I had a ROUGH day where I saw many browns caught around me, but didn’t land any myself. 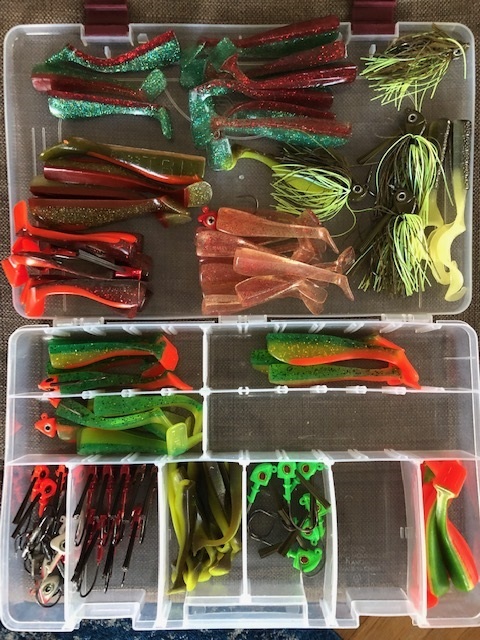 We stopped by an Ernie’s Tackle and grabbed a few new Rapalas, then switched lakes for the afternoon. 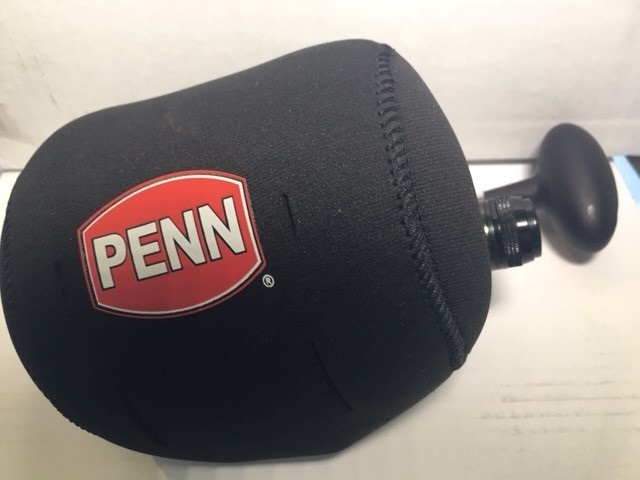 I waded over to a steep rock face and on my third cast, I felt a giant connect. The fish slammed the lure HARD, and I immediately was shouting for the net and my heart was racing. When I finally got the brown trout to shore, I was in awe. He was super skinny, but still a huge fish that I could have fit my entire fist in his mouth. After snapping a few photos, I quickly got him back in the water and watched him swim away for someone else to catch another day. BD:What other “aspects of you” would you like to tell fellow BD’ers? 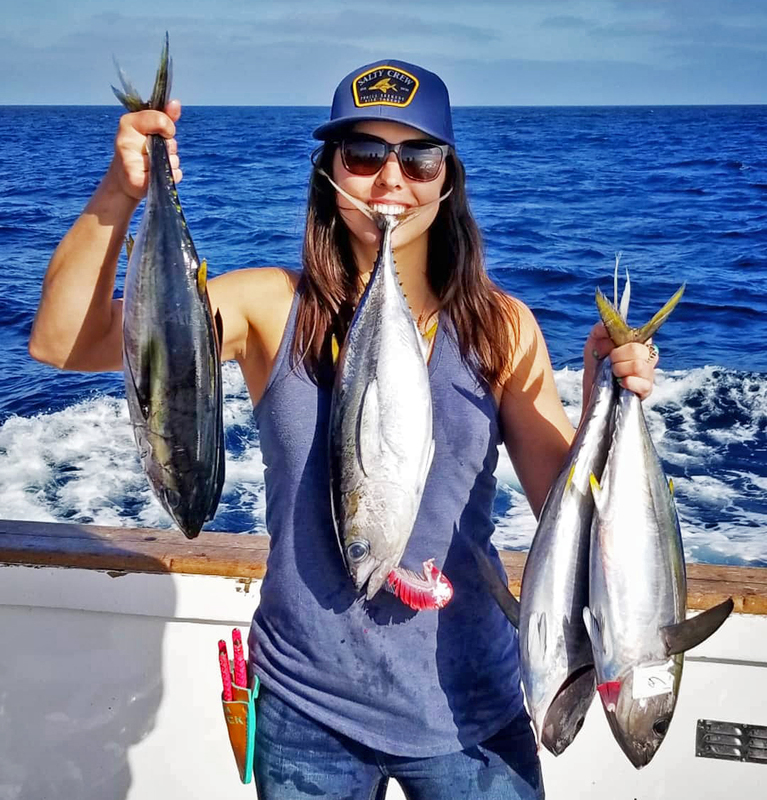 Rachel Von Fleck:One aspect of fishing and hunting I love is that I can sustain myself with a lot of the fish and meat we get throughout the year. We also have a parakeet, over 50 chickens, ducks, geese, and peacocks. I love birds of all kinds, and raise some fancy chickens as pets, some for egg laying, and some for eating. We also have some reptiles including my 5+ foot red tail boa “Captain Tunafish”, a few Argentine tegus, and an argus monitor. I like to work with my hands a lot and become adept at new things. 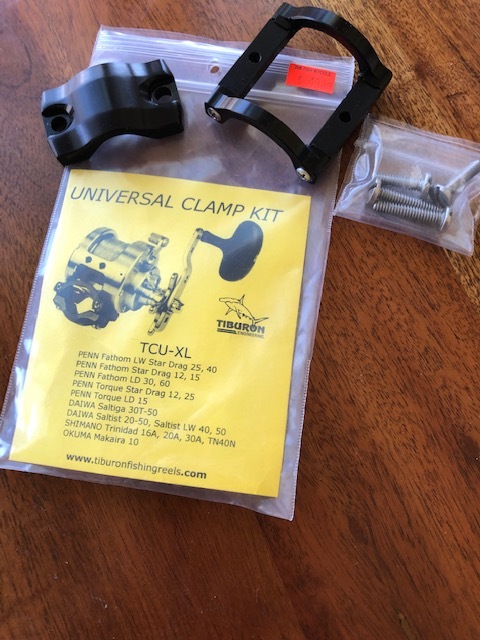 I love woodworking, building/restoring furniture, DIY-ing my own bird mounts, leather tooling, leather working, painting, drawing, cooking, writing, and more. 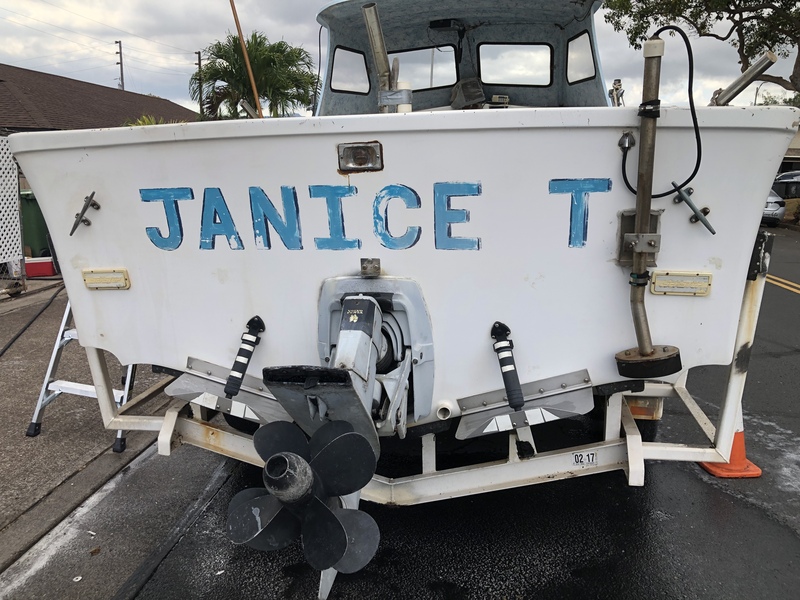 Our thanks to Rachel for taking us along for the ride in the telling of her fishing and outdoor-loving story. Check out many more BD Fishing Chicks here.